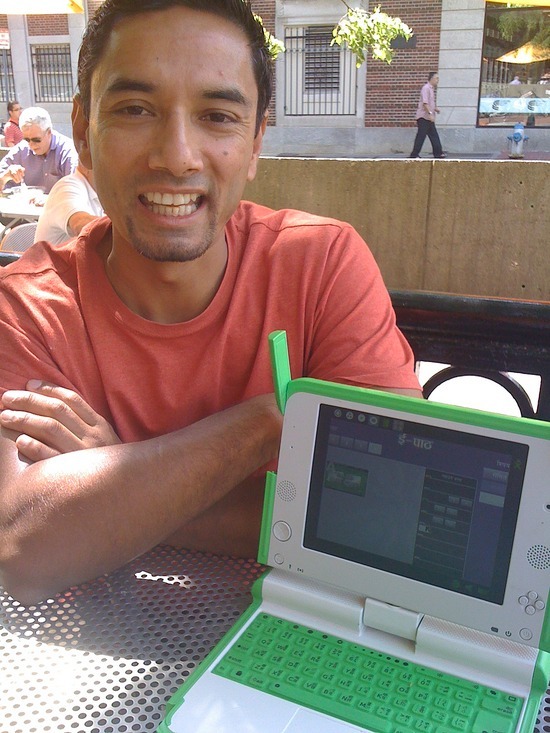 “One Laptop per Child (OLPC NYC) invites you to create your own art and music with digital paintbrushes and music makers on our rugged green laptops, and communicate wirelessly and live with other kids, using solar-power! 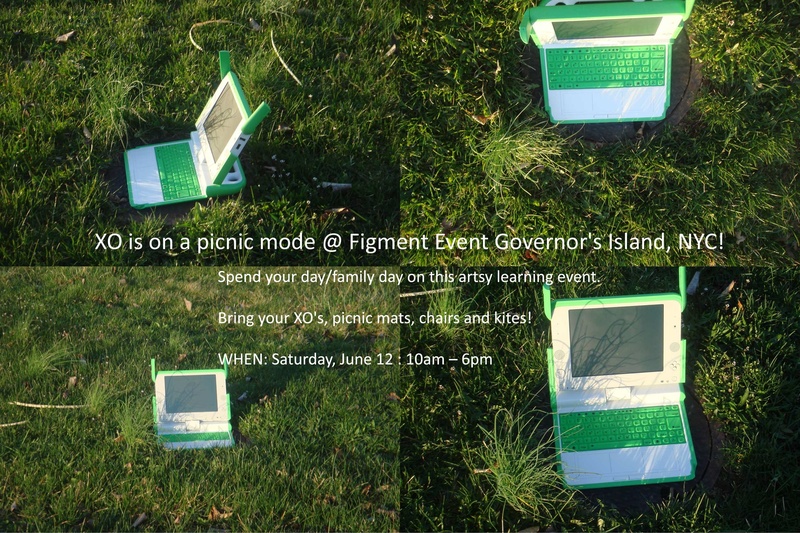 Build a colorful photo-tapestry together with other kids around the world, or work on a piece together with your new friends at FIGMENT. 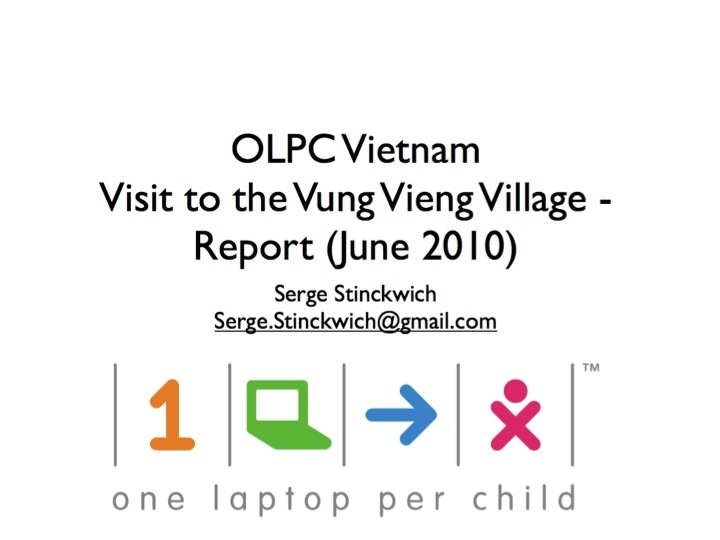 “One Laptop per Child (OLPC NYC) brings people together using rugged low-cost computers and kids around the world in need. We bring DIY learning using open software called Sugar, that empowers kids to discover and take control of music, science experiments, artistic collaboration, you-name-it. Come try for yourself, our brand new XO-1.5 laptops, and check out some newly available 10 Watt solar panels! Note that our brand new laptops now include the Gnome Desktop for older children too. Regardless of what “creativity” means for you, we encourage everyone who deeply cares about learning, Wikipedia and the like (no matter your age) to step up, release your inner child, and start building wireless/collaborative projects of all kinds — our NYC community will then show you how to obtain our free, tough, water-resistant, low-power laptops if your efforts will join ours, organically growing to help kids and school around the world.